A dog in Germany gained it’s celebrity after giving birth to 17 puppies. Both the owners and the vet were thrilled and amazed by this “numerous” surprise, especially since all the puppies were born naturally, without a cesarean being necessary, and although the birth took almost 26 hours, all puppies have survived and are in good health. 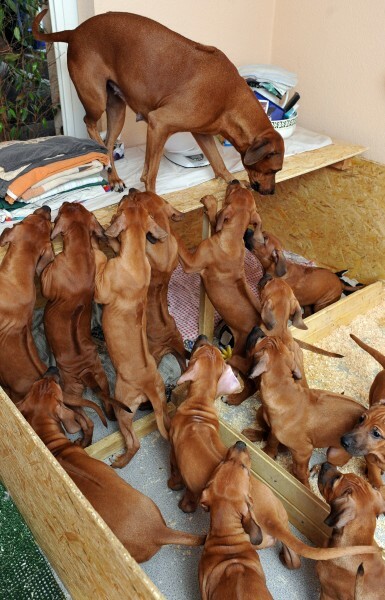 Ramona Wegemann, Etana’s owner is very proud of her dog, a purebred Rhodesian Ridgeback, but non the less exhausted after having to cope with feeding and taking care of all the 17 puppies for the first 4 weeks, as their mother wouldn’t have been able to deal with all of them. Etana has given birth to 9 male and 8 female puppies, and as you can imagine, their owners are having a difficult time telling them apart: the male puppies are called Baakir, Banjoku, Belay, Bruk, Bundu, Bayo, Bukekayo, Biton and Bulus and the female ones are Bahati, Binta, Bahya, Bashima, Batouuli, Binki, Bora, Bisa. 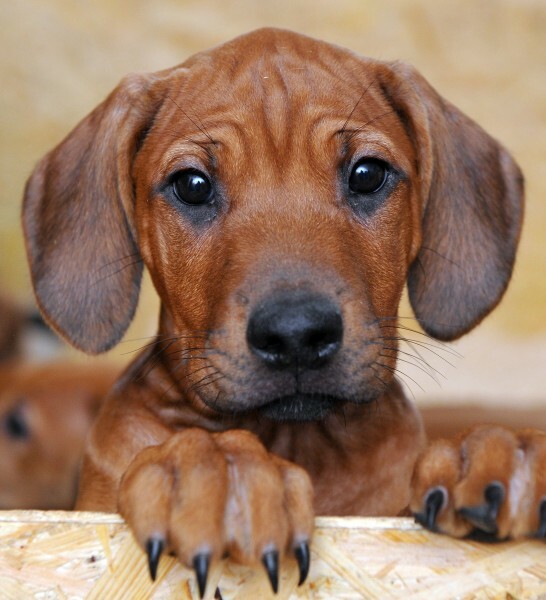 These are all African names, because the Rhodesian Ridgeback is an African breed, but…do all African names start with a “B” or is this a real weird coincidence? The 17 puppies were born on September 26, and since then four of them have been sold, two more are already paid for, and Ramona hopes she will be able to find good homes for all of them. But she says they are only considering families with children, not breeders.